The Automotive X-Prize, a competition of vehicles with a fuel efficiency of 100mpg and greater, concluded with winners announced in the Alternative Side-By-Side class. The prize purse was $2.5 million, and Nevada engineering company Li-Ion Corp. won the trophy by the slim margin of 0.2 seconds. However, the four finalists made a pact before the competition to share the prize, so several hundred thousand dollars of the money will go to Li-Ion’s former competitors. 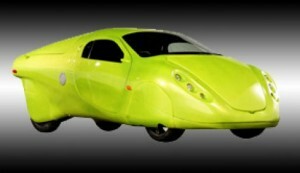 While 100-mpg cars are far from actual production, the X-Prize guidelines included many provisions for comfort and safety to make sure that the entries are limited to practical vehicles and not stripped-down concept showpieces. To find rates and quotes for Pennsylvania auto transport, click on the link. this car design is very cool man. i like it very much. looking great. thanks for the sharing this amazing article and good picture.